Carole Patricia Lofton Allen was born April 23, 1940, in Jersey City, New Jersey; the first of five children of the late Alfred Lofton and Ruth Jackson Lofton. Carole grew up in a large, close knit, extended family that included grandparents, aunts, uncles and cousins who often lived in the same neighborhood or even in the same building. Having accepted Christ at an early age, hers was a life filled with Christian love. She enjoyed a close relationship with God and enjoyed reading His Word, especially the King James translation. Although she quoted many, her favorite scripture was the 23rd Psalm and she taught it to any child in her care. In 1960, she married her childhood sweetheart and lifelong love, William Allen, Jr., at her home church, The Monumental Baptist Church in Jersey City. To this union two children were born, a daughter, April and a son Brett. Wanting the best life for their family, Carole and William purchased a home and relocated to Middlesex County in 1973. There, they joined the Sharon Baptist Church, in New Brunswick serving as deacons. Because she had a heart to serve, Carole was passionate about missions and faithfully visited the sick and elderly, and witnessed and ministered to people in the streets of New Brunswick. She also financially supported foreign and local missions and worked with missionaries on a national level through The National Baptist Convention and Church Women United. After devoting the first ten years of marriage exclusively to her home and family, Carole decided she should head back into the corporate world. Already having experience as an x-ray technician, a librarian and at The New York Telephone Company, she quickly found suitable employment at Joseph B. Hoffman Mills in New York City. After leaving Hoffman, she worked at Brother International Corporation, in Piscataway, New Jersey. Carole found greater opportunity at Bell Communications Research, also in Piscataway, working there until her retirement. Despite being a full-time wife and mother, missionary and working full time outside the home, Carole also found time to serve her community. 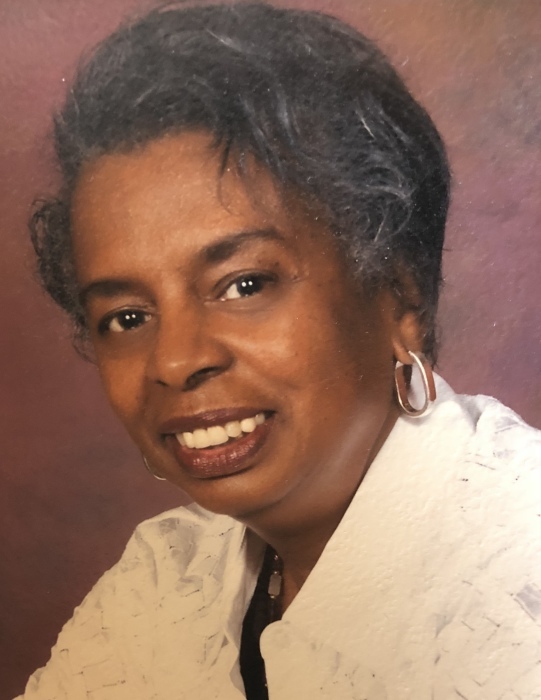 She regularly participated in Highland Park Borough Council meetings, Board of Education meetings, worked on the local Democratic Committee, the Community Betterment Committee and was a fierce advocate for minority students in Highland Park public schools. In 1998, Carole joined the Cathedral International (former Second Baptist Church) in Perth Amboy, New Jersey. There she continued to grow spiritually and work diligently toward the cause of Christ, ministering to those who were substance abusers, and working with the Assimilation, Intercessory Prayer, Marriage & Family, Senior Citizens, and Seasoned Saints Dance ministries. Carole loved life. She enjoyed the funny pages, the Daily Jumble, sudoku and Steve Harvey and the Family Feud. She embraced new experiences boldly, with great passion. She expressed her artistic talents by cooking, sewing and knitting. She loved gardenias and roses and the color red. Carole loved the Lord. She loved her family and she genuinely loved people. She is truly missed. Carole is predeceased by a sister, Delores Lofton and a brother, Alfred Lofton, Jr. Left to cherish her memory are: her devoted husband of 57 years, William Allen, Jr., two children, April Allen and Brett Allen, daughter-in-law, Tanya Allen, three grandchildren, Gabrielle Smith, Maya Allen and Amari Allen, two sisters, Thelma Linda Campbell and brother-in-law Silas Campbell of Jersey City, and Renee Mapp, also of Jersey City, two god-sons, Robert Pettiford, Jr. and Neal Monroe, two god-grandchildren, Cianni McGhee and Chase McGhee and a host of cousins, nephews, nieces and friends.